Welcome to Austria’s finest big game hunting Outfitter! Welcome to huntAUSTRIA.com! As a hunter with over 25 years hunting experience in Austria, I offer my international guests first class hunting, mostly for mountain game, in all of the Austrian provinces. 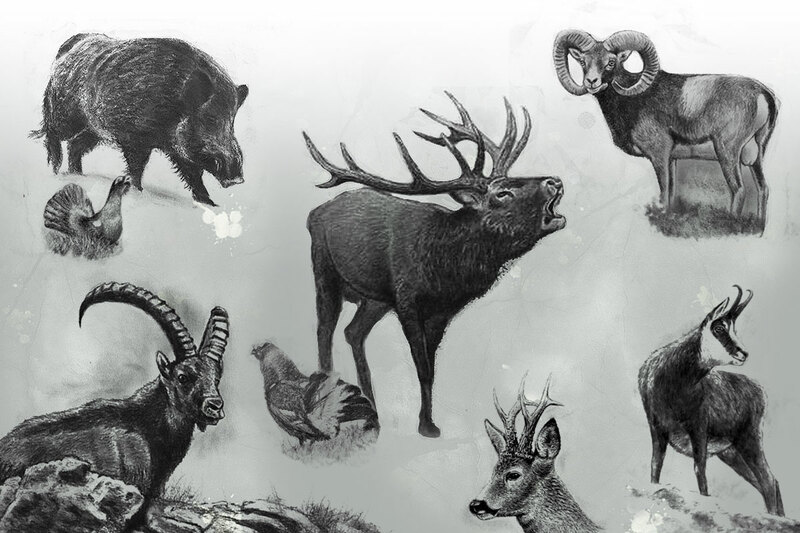 I offer free range hunting of chamois, roe buck, red stag, mouflon ram, alpine ibex, capercaillie and blackcock. Driven wild boar are organized on big private estates in Austria or Hungary. Our experienced professional hunters will do their best to make your trip successful and unforgettable! We are pleased to help you from the beginning to plan your perfect hunting holiday, whether you travel alone or are accompanied by your family or hunting friends. From arrival to departure you will be professionally and personally supervised. So you can just focus on the reason you are with us – HUNTING! We are looking forward to welcoming you to our home country and hunt with you! For fly fishing I offer my guests the best salmonid rivers in Austria. We fish mainly in natural rivers full with fish, such as the Ybbs, Salza, Erlauf, Steyr, Walster and various sections of the Traun. We ​​fish primarily for brown trout, rainbow trout and grayling. Some of the Danube Salmon you can find on selected spots of the Ybbs river. I would love to host you for your perfect fly fishing trip in Austria.